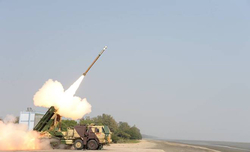 The much awaited Long Range Surface-to-Air-Missile (LR-SAM) being jointly built by India and Israel will be ‘hot tested’ next month in September . This will be the first test such on the missile that will finally be installed on board several Indian naval warships, including the newly acquired sea borne aircraft carrier, the INS Vikramaditya and the Kolkatta class of warships and the Shivalik class Stealth frigates. Indian Minister of Defence Arun Jaitely told the Rajya Sabha, the Upper House of Indian Parliament, in written statement on August 5 saying “ Hot test is planned ( on the LR-SAM) in September 2014”. 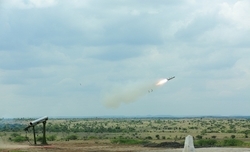 The term ‘hot-test’ denotes that the missile will be given a target or multiple targets to aim at, a dummy plane or UAV. The targets will be moving at high speeds and the test will verify the ability of the LRSAM to identify and kill the target mid-air while even changing course mid-flight. 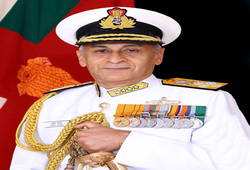 The Rs 2606 crore – approximately US $ 450 Billion – project is running behind schedule by four years and is expected to be completed in December 2015 instead of its original deadline of May 2011, the Defence Minister said. 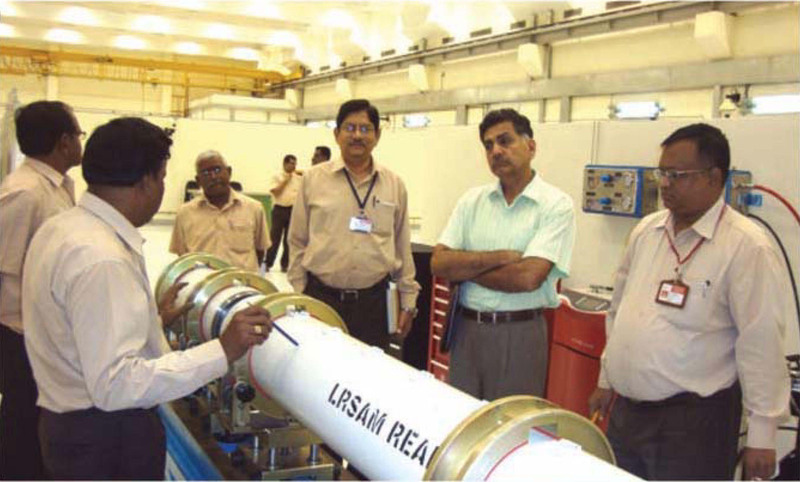 LR-SAM – referred to as the Barak 8 by the Israeli’s -- was first tested in 2010 and it will not just be main stay on Navy warship, its mobile version will be forming an important layer of in the ground based air defence architecture handled by the Indian Air Force (IAF) and by the Indian Army around its Strike Corps. It has range of 70 kms and height ceiling of 16 kms. Having high agility the missile has a thrust vector control and a highly evolved electro-pneumatic control system. It will have a dual-mode guided weapon that is a GPS and a data link allowing for midcourse guidance and for accurate homing. It will have the ability to simultaneously engage 12 targets with 24 missiles. 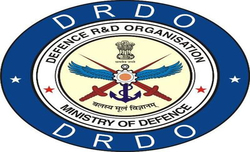 In India the Defence Ministry’s owned Defence Research and Development Organisation (DRDO) is tasked with producing the propulsion rocket system, thrust vector system and certain other components. Israel Aerospace Industry (IA) will builds the seeker and the last stage avionics. Once the LR-SAM is okayed it will be onboard frontline Indian warships in four vertical launch units, each housing eight missiles. More than 15 warships including the Vikramaditya and the under construction aircraft carrier, the Vikrant will have these. While it’s easier to fit the LRSAM in under-construction ships, fitting it onto the existing platforms like the Vikramaditya will be a complex procedure and it will entail some cutting through the deck, a period of eight-nine months will be needed to do this. In December 2013 Indian investigation agency the Central Bureau of Investigation closed the case against IAI saying it had no evidence to prove that IAI gave bribes in 2001 to secure another contract.